Nike will replace Adidas as Chelsea’s kit supplier from next season with the London club set to receive £60 million per annum – check out Chelsea Betting Odds at William Hill! Chelsea’s £900 million partnership with Nike makes it the biggest commercial deal the club has ever signed, and positions them in the same league with Real Madrid, Barcelona and Premier League rivals Man United. It is believed that talks between the London side and the American sportswear giant initiated earlier this year, but now the news about the deal is official and it’s set to kick-in starting from the 2017/18 campaign, running all the way to 2031/32. The Nike deal will bring an end to an 11-year association with Adidas – Nike’s main competitor – who have supplied Chelsea’s kit since taking over from Umbro at the start of the 2006/07 season. William Hill offers a range of Chelsea Betting Odds! The club signed a 10-year extension with the German supplier in 2013 that was rumoured to be worth £30 million per season, however with the prospect of doubling that amount with Nike, Chelsea has decided to cut their Adidas deal short, for which they are ready to pay a penalty of £40 million. 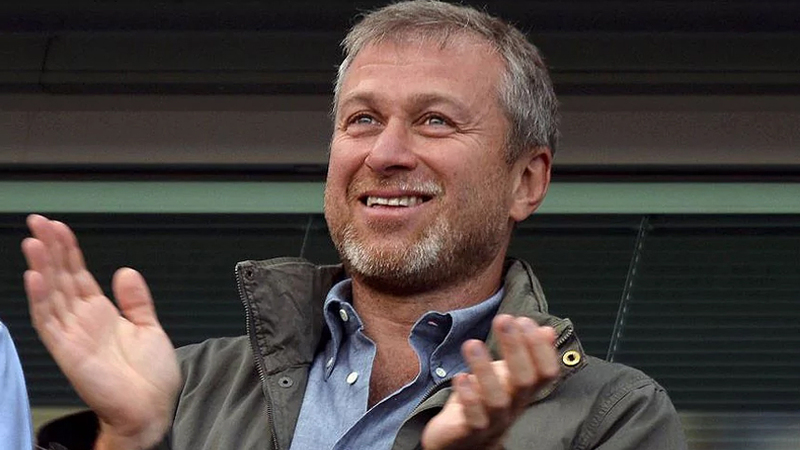 Marina Granovskaia, Chelsea director and representative for owner Roman Abramovich – highlighted that ‘excellence and innovation’ are the two facets the club and the sportswear supplier share in common, as they aim to become even bigger in the future. President of the Nike Brand -Trevor Edwards – stressed Chelsea’s ambition and ‘rich history’ as the motivations behind Nike’s decision to enter into a long-term agreement with the Premier League side. Maximize your earnings with Chelsea Betting Odds! It’s interesting to note that in recent years Nike has lost their presence in England’s capital, after Arsenal ended their two-decade long association with the Americans and opted to sign a lucrative £150 million five-year deal with Puma in 2014. Additionally, Man United – who used to be one of Nike’s biggest selling brands for years – decided to part ways with the ‘swoosh’ on their shirts in favour of the ‘three stripes’ ahead of the 2015/16 campaign. This move saw the Old Trafford rewarded with a record-breaking £750 million 10-year deal, which was the biggest of its kind when first announced in 2014. Chelsea owner Roman Abramovich will be pleased with the Nike deal. Besides sponsoring Man City, Nike had no other top Premier League side on their books, so it’s safe to say the latest deal with Chelsea is a direct strategic move to re-establish themselves at the top of British football. There were previously rumours about a potential deal with Tottenham – another London-based club – however since Nike will now be handing over a staggering £60 per season to their rivals Chelsea, an agreement with Spurs seems to be compromised. William Hill Sports is the official betting partner of Chelsea; it offers a range of betting markets on the most popular sporting events, while also offering niche markets for special customers. The online sportsbook also gives out Enhanced Odds on a regular basis, that compete with the best offers in the industry. Back the Blues with Chelsea Betting Odds! Chelsea 1.57 (4/7) are set to face defending champions Leicester City 6.00 (5/1) at Stamford Bridge this weekend (October 15), in what should be a routine win for the Blues despite suffering a few setbacks in recent Premier League matches. A draw between the two sides stands at 4.20 (16/5), but we’re pretty confident Antonio Conte will prepare an effective strategy against his fellow Italian Claudio Ranieri. Chelsea initially made a great start to the new season clinching four straight victories, but have then hit a wall against Swansea and suffered defeats to title rivals Liverpool and Arsenal in successive matches. Currently, they sit in seventh position on the table with 13 points from the first seven rounds, but they should be getting back to their form once the players fully adapt to Conte’s philosophy. Man City – headed by new boss Pep Guardiola – are the title favourites 1.91 (10/11), while Chelsea are, for the time being, underdogs with odds of 17.00 (16/1). Liverpool 5.00 (4.1), Arsenal 7.00 (6/1), Tottenham 9.00 (8/1) and Man United 15.00 (14/1) are all above the Blues, for now. Take advantage of Chelsea Betting Odds at William Hill today! In case you’re hesitant to place your bets on the outright market for Chelsea, you could very well see fortune come your way with the Top Goalscorer market. Sergio Aguero – who has 5 goals in 4 PL matches – is the favourite 2.30 (13/10) for to be crowned the Top Goalscorer at the end of the season, while Diego Costa – who has bagged 6 in 7 appearances – is second on the list with odds of 7.00 (6/1). The good news is that Aguero has been struggling with injuries lately, which only aids Costa’s chances, so it’s worth considering placing a wager on this market. Man United’s imposing striker Zlatan Ibrahimovic is third favourite 8.00 (7/1), in case you’re a fan of the iconic Swede; but let’s hope for Costa’s sake that his prowess in front of goal soon come to an end, which may be hindered due to his 35 years of age. William Hill offers some of the best Chelsea Betting Odds!